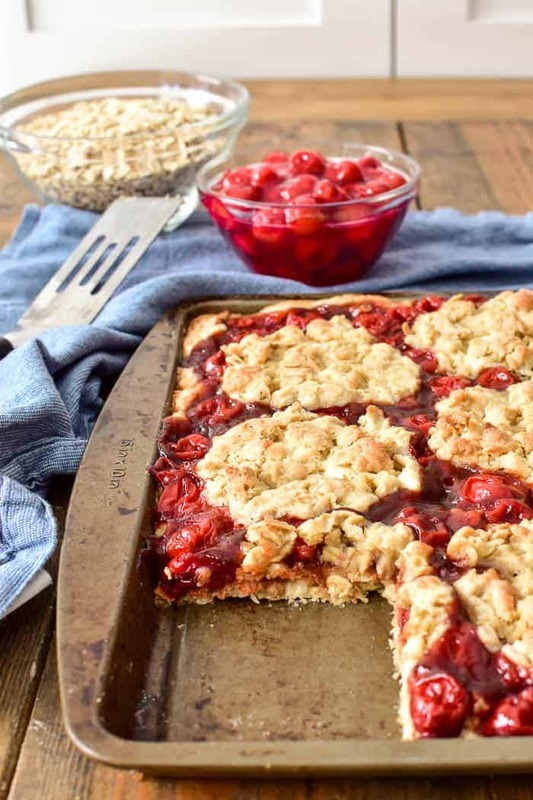 These Cherry Apple Butter Bars are the ultimate cherry pie bars. They’re sweet, delicious, and perfect for feeding a crowd. 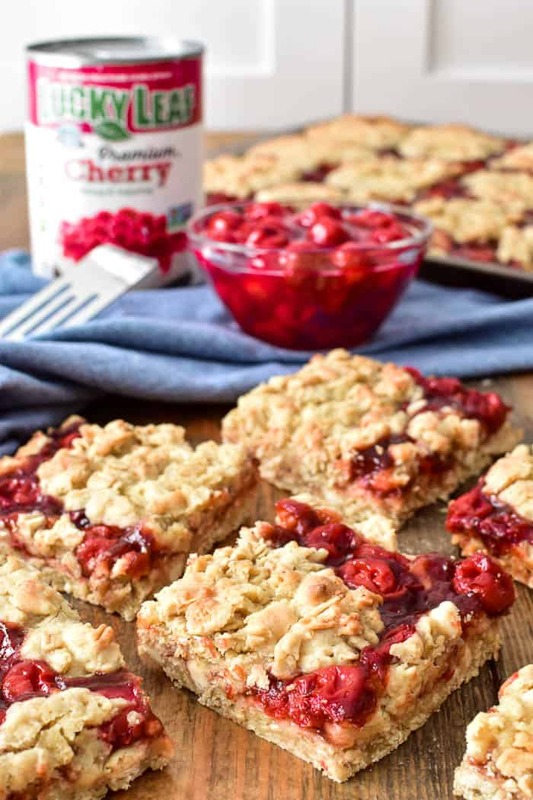 Made with Lucky Leaf Cherry Pie Filling and a twist of apple butter, these bars take your favorite dessert to the next level. They’re easy to make, easy to transport, and one pan goes a long way! 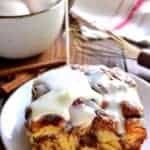 I partnered with Lucky Leaf to bring you this recipe. Thank you for supporting the brands that make Lemon Tree Dwelling possible! 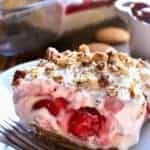 Let’s talk cherry pie for a minute, shall we? Because when it comes to desserts, cherry pie is always at the top of the list. 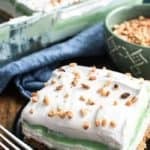 Not only is it a classic dessert that everyone loves, but there are so many fun ways to reinvent it. From Cherry Pie Cookie Cups to Cherry Pie Ice Cream, it’s one of those things that’s always delicious….no matter how you make it! And these Cherry Apple Butter Bars are no exception. They combine two amazing flavors – cherry pie filling and apple butter – in one delicious recipe that’s sure to become a new favorite. 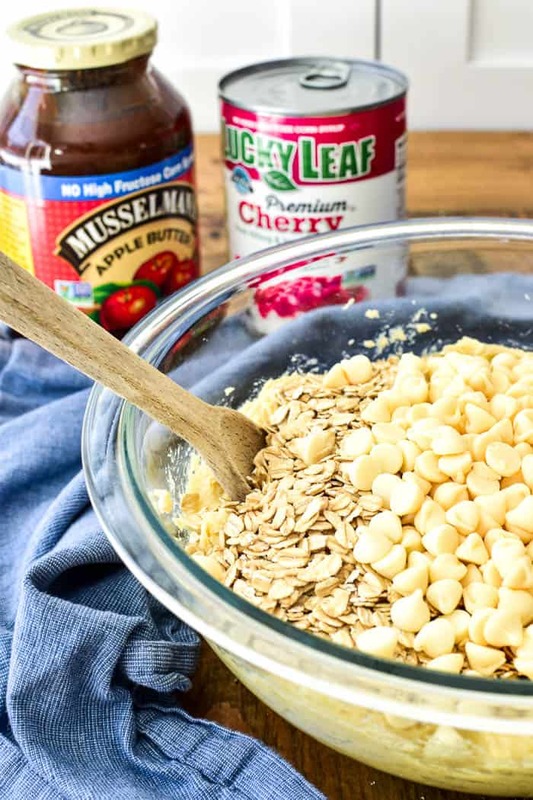 Of course, a big part of what makes these bars so delicious is that they start with Lucky Leaf Cherry Pie Filling…our favorite! 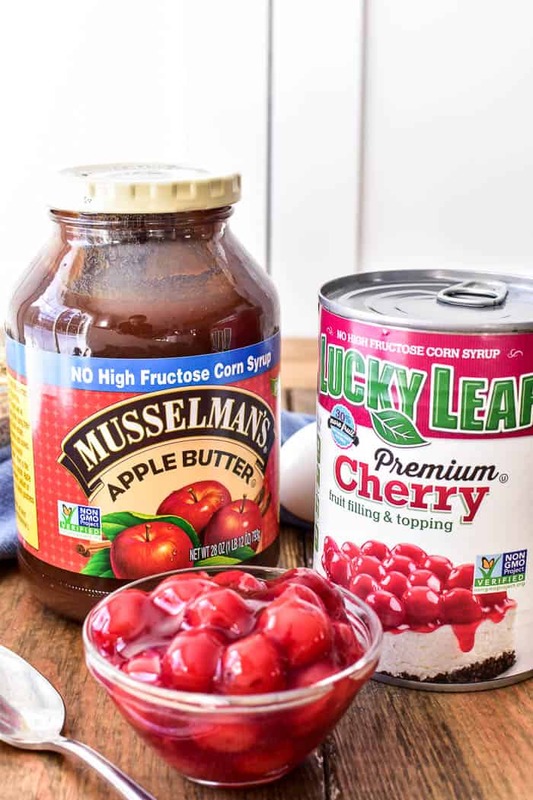 We love Lucky Leaf, not just because it’s a great tasting, high quality product, but because it has more fruit than other pie fillings and is made without high-fructose corn syrup. Lucky Leaf products are convenient, easy to use, and a great way to simplify your baking. Best of all, they’re incredibly versatile! 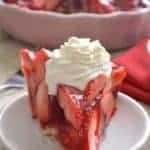 We’ve used them to make everything from Cherry Cheesecake Lush to Baked Caramel Apple Cheesecake Dip to Blueberry Pie Bars and Cherry Cheesecake Gingerbread Trifle. And let’s just say my kids were beyond excited to add these Cherry Apple Butter Bars to the mix. Apple Butter is a highly concentrated form of apple sauce made by cooking apples with cider or water over a long period of time. Eventually the sugar in the apples caramelizes, turning the apple butter a deep brown color. Apple Butter is flavored with cinnamon, cloves, and nutmeg and is typically used as a condiment or spread. HOW DO YOU MAKE CHERRY APPLE BUTTER BARS? Cherry Apple Butter Bars are easy to make and you’ll love the delicious apple butter twist. 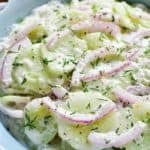 Scroll down for the printable recipe. Cream together butter and sugars, then mix in eggs and vanilla. Add flour, baking powder, and salt. Then stir in oats and white chocolate chips. Spread 2/3 of batter onto a greased jelly roll pan; top with a combination of cherry pie filling and apple butter. Spoon remaining remaining batter over the pie filling. Use room temperature butter. If the butter is too cold or warm, it won’t cream properly. Grease fingers before spreading the batter into the pan since the batter will be a bit sticky. 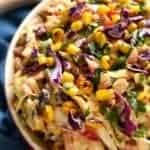 Feel free to experiment with other Lucky Leaf Pie Filling flavors! For best results, cut bars into desired number of squares and store them in an airtight container for up to one week. 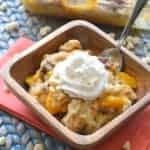 They can be enjoyed as an after school snack or dessert, and are also delicious served warm with a scoop of ice cream on top! 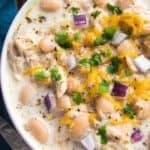 For more recipe inspiration, visit Lucky Leaf on Pinterest, Pinterest, Instagram, Twitter, and YouTube. 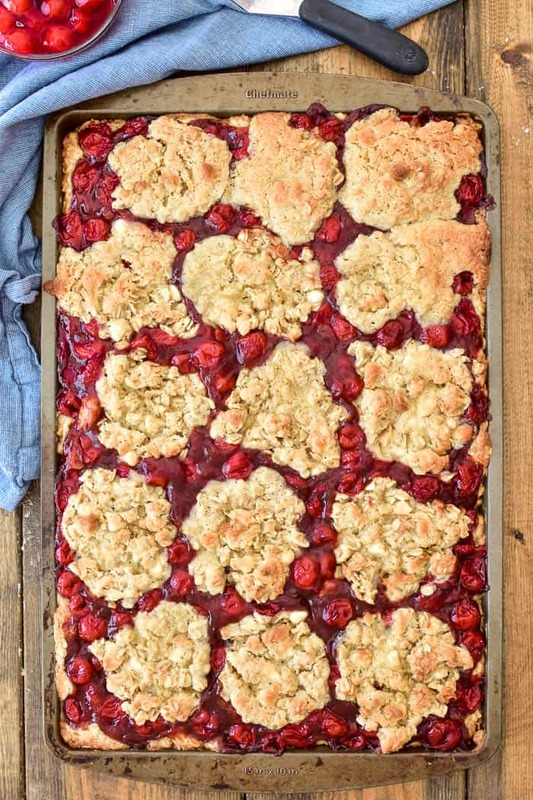 These Cherry Apple Butter Bars are the ultimate cherry pie bars. They're sweet, delicious, and perfect for feeding a crowd. Made with Lucky Leaf Cherry Pie Filling and a twist of apple butter, these bars take your favorite dessert to the next level. Preheat oven to 350° F. Position rack to center of the oven. In a large mixing bowl on medium speed, cream together butter and sugars for two minutes. Scrape down sides of bowl as necessary. Add eggs, one at a time. Mix in the vanilla. In a separate mixing bowl, combine the flour, baking powder and salt. Add to the wet ingredients and mix until just combined. Mix in the oats and then the white chocolate chips. Press about two-thirds of the batter into a thin layer in a greased jelly roll pan; set aside. In another mixing bowl, stir together the cherry pie filling and apple butter. Spread evenly over the layer of batter in the pan. Scoop the remaining batter evenly over the pie filling. ﻿Bake for 30-35 minutes, until golden. Let cool completely before cutting into bars, or serve warm and gooey with ice cream. Love everything about these bars! They sound absolutely amazing! Those bars look fantastic…love the filling!! Yes! The cherry + apple butter combo is delicious! They look fantastic! I’m craving for these right now, definitely gotta try it! My kids have been begging me to make them again! 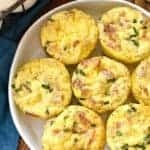 These are definitely more sweet than savory, but sooo delicious! These bars look absolutely divine! I wish I had some with my morning coffee! These sound amazing right now! I wish I hd one! I would love a slice of this right now. You have combined everything that makes my mouth water. 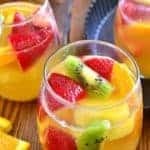 With the fruit and crust would be perfect for breakfast or dessert. Thanks, Jacque! Hope you enjoy them!